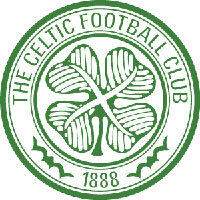 Celtic Football Club (the Bhoys) are one of the two Old Firm football teams in Glasgow. Glasgow Celtic play in the east end of the city, in the 60,832 seater Parkhead stadium. Manchester United is the only team in Britain that has a higher average attendance. Together with their fierce rivals Glasgow Rangers, Celtic have dominated Scottish football for much of the period since they were founded in 1888. Celtic were the first British team to win the European Cup, which they did in 1967 with a team entirely comprised of local players born within 30 miles of Celtic Park. Glasgow Celtic has close historical connections with the people of Ireland and the Catholic community.